Pakistan is a country where people are already really upset with the United States due to its Policies towards Pakistan and Muslim World. US has also killed hundreds of Innocent Pakistanis in drone attacks. Recently Incident of killing of three Pakistanis by a US Embassy Employee Raymond Davis in Lahore has increased anger against US even more. Pakistanis are demanding tough punishment for the Us Embassy Employee. 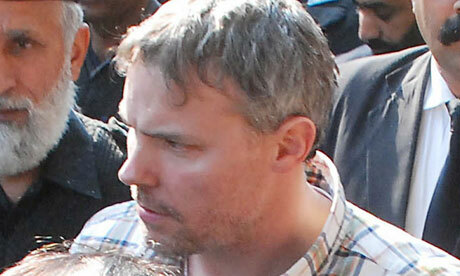 On Saturday US Embassy in Pakistan called for the Immediate release of Raymond Davis and called his arrest unlawful. US Ambassador in Pakistan Cameron Munter also called N League Leader Nawaz Sharif for the release of US Embassy Employee on Saturday but Nawaz Sharif replied that the matter is in Court and Court will decide whether to free him or not. Pakistani media is also raising questions that actually who Raymond Davis? is he really a US Embassy Employee or a official of American Intelligence? and what he was doing Mozang Area of Lahore? Some Media report are claiming that he was there for Spying.